Under these circumstances the increased exploitation of unconventional fossil fuels, made possible by higher oil prices and technological developments, has catastrophic implications for the climate. No less remarkable technological developments, however, have arisen at the same time in relation to renewable energies, such as wind and solar, opening up the possibility of a more ecological path of development. Since 2009 solar (photovoltaic) module “prices have fallen off a cliff.”25 Although still accounting for a tiny percentage of electric-generating capacity in the United States, wind and solar have grown to about 13 percent of total German electricity production in 2012, with total renewables (including hydroelectric and biomass) accounting for about 20 percent.26 As the energy return on energy investment (EROEI) of fossil fuels has declined due to the depletion of cheap crude-oil supplies, wind and solar have become more competitive-with EROEIs above that of tar-sands oil, and in the case of wind even above conventional oil. Wind and solar, however, represent intermittent, location-specific sources of power that cannot easily cover baseload-power needs.27 Worse still, a massive conversion of the world’s energy infrastructure to renewables would take decades to accomplish when time is short. The main battle lines of the carbon war are clear. On the one side, there are the dominant capitalist interests that have sought to address the decline of conventional crude-oil reserves through the incessant expansion of fossil-fuel resources. This has led to actual wars in the oil-rich Middle East and surrounding regions in an effort to gain control over the world’s chief remaining “cheap oil” supplies. A decade ago, in 2003, the United States invaded Iraq, leading to what can only be called a continuous military intervention in the oil-rich regions of the Middle East, Central Asia, and Africa by the United States and “global NATO.”29 These military incursions have been primarily related to the geopolitics of oil, and only secondarily to terrorism, weapons of mass destruction, and so-called “humanitarian intervention”-the main rationales provided. On the other side is the burgeoning climate movement, propelled into massive direct action by the new threats from the unconventionals. Hansen’s dire warning that it is “game over” if the Alberta tar-sands oil is exploited fully-with the tar sands themselves generating potentially enough carbon dioxide emissions to break the world’s carbon budget, while also symbolizing the pressing need to draw a line in the sand in relation to unconventional fossil fuels-has had an electrifying effect on the movement on the ground. Over 50,000 people have pledged to put their bodies on the line to block Keystone XL Pipeline construction, thereby facing arrest if the Obama administration gives the northern leg of the pipeline a green light.38 Idle No More is fighting oil pipelines in Canada extending south, west, and east. This on-the-ground mobilization is combined with the growing fossil-fuels-divestment movement. Organized resistance to fracking meanwhile has been mounting as well. The main thrust of the climate movement has therefore shifted from demand-side initiatives aimed at reducing consumer-market demand for carbon fuels to supply-side strategies aimed at corporations and designed to keep the fossil fuels in the ground. This outlook has allowed the movement to narrow its opposition to the fossil-fuel industry alone, confining its demands to keeping fossil fuels in the ground, blocking the transport of fossil fuels, and divesting in fossil-fuels corporations. As McKibben has stated, “movements need enemies” and the strategy has been to focus not on capitalism but on the fossil-fuel industry as a “rogue industry.... Public Enemy Number One.”40 This has been highly successful in sparking the growth of the movement. Yet, there are serious questions with regard to where all of this is headed. Will the current struggle metamorphose into the necessary full-scale revolt against capitalist environmental destruction? Or will it be confined to very limited, short-term gains of the kind compatible with the system? Will the movement radicalize, leading to the full mobilization of its popular base? Or will the more elite-technocratic and pro-capitalist elements within the movement leadership in the United States ultimately determine its direction, betraying the grassroots resistance? These are questions for which there are no answers at present. In the current historical moment the struggle against the fossil-fuel industry is paramount-the basis of today’s ecological popular front. Yet, a realistic outlook indicates that nothing short of a full-scale ecological and social revolution will suffice to create a sustainable society out of the planetary rift generated by the present-day capitalist order. The break with the relentless logic of the system cannot be long delayed. A realistic historical assessment tells us that there is no purely technological path to a sustainable society. Although a rapid shift to renewables is a crucial component of any conceivable path to a carbon-free, ecological world, the technical obstacles to such a transition are much greater than is usually assumed. The biggest barrier is the up-front cost of building an entirely new energy infrastructure geared to renewables rather than relying on the existing fossil-fuel infrastructure. Construction of a new energy infrastructure requires vast amounts of energy consumption, and would lead-if current consumption and economic growth were not to be reduced-to further demands on existing fossil-fuel resources. This would mean, as ecological economist Eric Zencey has explained, “an aggressive expansion of the economy’s footprint in paradoxical service to the goal of achieving sustainability.” Assuming the average EROEI of fossil fuels keeps falling, the difficulty only becomes worse. Ecological economists and peak-oil theorists have dubbed this the “energy trap.” In Zencey’s words, “The problem is rooted in the sunken energy costs of the petroleum infrastructure (which makes the continued use of petroleum energetically cheap)” even when the EROEI of such fossil fuels in the case of unconventionals is lower than wind and solar.41 It follows that building an alternative energy infrastructure-without breaking the carbon budget-would require a tectonic shift in the direction of energy conservation and energy efficiency. we cannot deliver [this] reduction by switching to a low carbon energy supply, we simply cannot get the supply in place quickly enough. Therefore, in the short to medium term the only major change that we can make is by consuming less. Now, that would be fine, we could become more efficient in what we consume by probably [a] 2-3% per annum reduction. But bear in mind, if our economy was growing at 2% per annum, and we were trying to get a 3% per annum reduction in our emissions, that’s a 5% improvement in the efficiency of what we’re doing each year, year on year. This analysis of a “safe operating space” for humanity established a system of natural metrics in the form of nine planetary boundaries. In the case of three of these-climate change, biodiversity loss, and the nitrogen cycle (part of a boundary together with the phosphorus cycle)-the planetary boundaries have already been crossed. While in the case of a number of other planetary boundaries-the phosphorus cycle, ocean acidification, global freshwater use, and change in land use-alarming trends suggest that these boundaries will soon be crossed as well. Climate change is therefore only one part of a much larger ecological crisis facing humanity, traceable to the exponential growth of an increasingly destructive economic order within a finite planetary system. 1 ↩ See John Bellamy Foster, The Ecological Revolution (New York: Monthly Review Press, 2009), 85-105; International Energy Agency, World Energy Outlook 2010 (OECD/IEA, 2010), 125-26; Ramez Naam, The Infinite Resource (Lebanon, NH: University Press of New England, 2013), 47. 2. ↩ Pushker A. Kharecha and James E. Hansen, “Implications of ‘Peak Oil’ for Atmosphere CO2 and Climate,” Global Biogeochemical Cycles 22 (2008): 1-10. 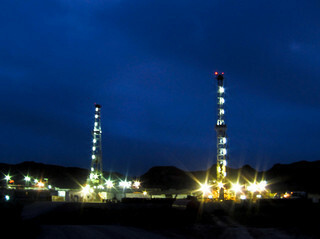 The term “unconventional fossil fuels” is commonly used to refer to: fossil-fuel feedstocks that have not been intensively exploited up to the present, usually because they are of inferior grade and/or require additional technology and added costs for extraction and processing, such as heavy oils, oil sands, shale gas, tight oil, tight gas, oil shale, methane hydrates, and oil from deepwater drilling. “Unconventional Fossil Fuels,” Juice: Alternative Fuels World, http://alternatefuelsworld.com, accessed July 15, 2013; International Energy Agency, “Glossary of Terms” (“Unconventional Gas” and “Unconventional Oil”), http://iea.org, accessed July 15, 2013. 3. ↩ Charles C. Mann, “What If We Never Run Out of Oil,” Atlantic 311, no. 4, May 2013, 54, 63. 4. ↩ Michael T. Klare, The Race for What’s Left (New York: Henry Holt, 2012), 106. 5. ↩ Bill McKibben, “The Fossil Fuel Resistance,” Rolling Stone, April 25, 2013, 42. 6. ↩ The Keystone XL Pipeline is actually part of the larger Keystone pipeline system. The first two phases of this are already completed and the third phase, the southern leg, will soon be finished. When this is done Alberta tar-sand oil will begin to flow to the Gulf. But the completion of the critical northern line (phase 4) will provide a more direct route and will carry about twice the oil. As Candice Bernd has written: “James Hansen called the [Keystone XL] project ‘the fuse to the largest carbon bomb on the planet.’ ... The northern, cross-border expansion of the project would make that fuse burn faster, doubling the Keystone pipeline system’s carrying capacity to more than 800,000 barrels a day.” Candice Bernd, “Tar Sands Will Be Piped to the Gulf Coast, With or Without the Northern Segment of Keystone XL,” Truthout, April 29, 2013, http://truth-out.org. 7. ↩ David Biello, “How Much Will Tar Sands Oil Add to Global Warming?,” Scientific American, January 23, 2013, http://scientificamerican.com. 8. ↩ James Hansen, “Game Over for the Climate,” New York Times, May 9, 2012, http://nytimes.com, and “Keystone XL: The Pipeline to Disaster,” Los Angeles Times, April 4, 2013, http://articles.latimes.com. 9. ↩ Glenn Gilchrist, “Transportation-Alberta Achilles Heel,” April 5, 2013, http://world.350.org; Reid McKay, “Canada Losing Massive Wealth on Oil Price Differential,” CEO.CA, February 13, 2013, http://ceo.ca; David Biello, “Greenhouse Goo,” Scientific American 309, no. 1 (July 2013): 61. 10. ↩ David Sassoon, “Crude, Dirty and Dangerous,” New York Times, August 20, 2012, http://nytimes.com; David Biello, “Does Tar Sand Oil Increase the Risk of Pipeline Spills?,” Scientific American, April 4, 2013, http://scientificamerican.com. 11. ↩ McKibben, “The Fossil Fuel Resistance,” 40; Michael Levi, The Power Surge (New York: Oxford, 2013), 81; “What’s Next in the Ongoing Keystone XL Saga,” U.S. News & World Report, April 5, 2013, http://usnews.com. 12. ↩ See Jacob Devaney, “Idle No More: Hints of a Global Super-Movement,” Common Dreams, January 3, 2013, http://commondreams.org; “First Nations Group Calls for B.C. to Reject Northern Gateway Pipeline Work Permits,” Vancouver Sun, June 27, 2013, http://vancouversun.com; Brooke Jarvis, “Idle No More: Native-Led Protest Movement Takes on Canadian Government,” Rolling Stone, February 4, 2013, http://rollingstone.com. 13. ↩ Ohio Environmental Council, “What is Fracking?,” http://theoec.org, accessed July 29, 2013; “Baffled About Fracking? You’re Not Alone,” New York Times, May 13, 2011, http://nytimes.com; Levi, The Power Surge, 41-49. 14. ↩ “Rise in U.S. Gas Production Fuels an Unexpected Plunge in Emissions,” Wall Street Journal, April 18, 2013, http://online.wsj.com. Such figures are of course misleading in terms of the overall climate problem, since the coal industry has responded to the increased competition of natural gas by increasing coal exports to China and elsewhere. Indeed, a study by John Broderick and Kevin Anderson of the Tyndall Climate Change Research Institute has indicated that “more than half of the emissions avoided in the U.S. power sector [in 2008-2011] may have been exported as coal.” Thus they conclude that “without a meaningful cap on global carbon emissions, the exploitation of sale gas reserves is likely to increase total [global] emissions.” John Broderick and Kevin Anderson, Has US Shale Gas Reduced CO2 Emissions?, Tyndall Manchester Climate Change Research, October 2012, http://tyndall.ac.uk, 2. U.S. coal exports help fuel Chinese industry, which then sells a larger part of their output back to the United States. It has been estimated that the United States imported 400 million tons of embedded carbon in Chinese goods in 2008 alone. Bill Chameides, “On U.S. Greenhouse Gas Emissions and Cognitive Dissonance,” The Green Grok, November 14, 2012, http://blogs.nicholas.duke.edu. 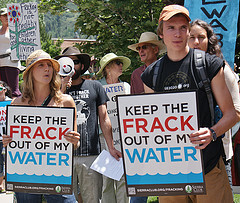 15 ↩ Jeff Tollefson, “Methane Leaks Erode Green Credentials of Natural Gas,” Nature, January 2, 2013, http://nature.com. 16 ↩ Matthew Phillips, “More Evidence Shows Drilling Causes Earthquakes,” Bloomberg Businessweek, April 1, 2013, http://businessweek.com. 17. ↩ “Quebec’s Lac Mégantic Oil Train Disaster Not Just Tragedy, But Corporate Crime,” Guardian, July 11, 2013, http://guardian.co.uk; Jonathan Flanders, “‘Pipeline on Rails’ Plans for the Railroads Explode in Quebec,” CounterPunch, July 11, 2013, http://counterpunch.org; “Quebec Train Death Toll at 50,” New York Post, July 11, 2013, http://nypost.com; “Canadian Tanker Train Crash Raises Fresh Questions on Oil Transportation,” Guardian, July 16, 2013, http://guardian.co.uk. 18. ↩ Frances Beinecke, “3 Years Later: Act on the Lessons of BP Gulf Oil Spill,” The Energy Collective, April 18, 2013, http://theenergycollective.com; Klare, The Race for What’s Left, 42-49. 19. ↩ Klare, The Race for What’s Left. 20. ↩ Susan Solomon, et. al., “Irreversible Climate Change Due to Carbon Dioxide Emissions,” Proceedings of the National Academy of Sciences 106, no. 6 (February 10, 2009): 1704-9; Heidi Cullen, The Weather of the Future (New York: Harper, 2010), 261-71; James Hansen, “Tipping Point,” in Eva Fearn and Kent H. Redford, eds., State of the Wild 2008 (Washington, DC: Island Press, 2008), 7-8; Biello, “Greenhouse Goo,” 58-59. 21 ↩ Trillionthtonne.org; Carbon Tracker and the Grantham Research Institute, London School of Economics, Unburnable Carbon 2012: Wasted Capital and Stranded Assets (2013), http://carbontracker.org; Myles Allen, et. al., “The Exit Strategy,” Nature Reports, April 30, 2009; http://nature.com; and “Warming Caused by Cumulative Carbon Emissions Towards the Trillionth Tonne,” Nature 458 (April 30, 2009): 1163-66; Malte Meinshausen, et. al., “Greenhouse Gas Emission Targets for Limiting Global Warming to 2°C,” Nature 458 (April 20, 2009): 1158-62. 22. ↩ “Ending Its Summer Melt, Arctic Sea Ice Sets a New Low that Leads to Warnings,” New York Times, September 19, 2012, http://nytimes.com; Andrew Freedman, “A Closer Look at Arctic Sea Ice Melt and Extreme Weather,” Climate Central, September 19, 2012, http://climatecentral.org; John Vidal and Adam Vaughan, “Arctic Sea Ice Shrinks to Smallest Extent Ever Recorded,” Guardian, September 14, 2012, http://guardian.co.uk. 23. ↩ Australian Climate Commission, The Angry Summer (2013), http://climatecommission.gov.au; Climate Central, Global Weirding (New York: Pantheon Press, 2012). 24. ↩ “Greenland and Antarctica ‘Have Lost Four Trillion Tonnes of Ice’ in 20 Years,” Guardian, November 29, 2012, http://guardian.co.uk. 25. ↩ Levi, The Power Surge, 148-49; Naam, The Infinite Resource, 161-62. 26. ↩ Bruno Burger, “Electricity Production from Solar and Wind in Germany in 2012,” Fraunhofer Institute for Solar Energy Systems, February 8, 2013, http://ise.fraunhofer.de; “Crossing the 20 Percent Mark: Green Energy Use Jumps in Germany,” Spiegel Online International, August 30, 2011, http://spiegel.de; Levi, The Power Surge, 144-45; Naam, The Infinite Resource, 163. 27. ↩ Mason Inman, “The True Cost of Fossil Fuels,” Scientific American (April 2013): 58-61; Charles A.S. Hall and Kent A. Klitgaard, Energy and the Wealth of Nations (New York: Springer, 2012); Steve Hallett, The Efficiency Trap (Amherst, NY: Prometheus Books, 2013), 77; Eric Zencey, “Energy as a Master Resource,” in Worldwatch Institute, State of the World 2013 (Washington, DC: Island Press, 2013), 79; Levi, The Power Surge, 151-52. 28. ↩ Jeremy Leggett, The Carbon War (New York: Routledge, 2001), 332. 29. ↩ See Horace Campbell, Global NATO and the Catastrophic Failure in Libya (New York: Monthly Review Press, 2013); John Bellamy Foster, Naked Imperialism (New York: Monthly Review Press, 2006). 31. ↩ Executive Office of the President, The President’s Climate Action Plan (June 2013), http://whitehouse.gov, 19; Levi, The Power Surge, 99-101, 171-72. 32. ↩ Richard York, “Do Alternative Energy Sources Displace Fossil Fuels?,” Nature Climate Change 2 (2012): 441-43. 33. ↩ “Charlie Rose Talks to ExxonMobil’s Rex Tillerson,” Bloomberg Businessweek, March 7, 2013, http://businessweek.com. 34. ↩ Juliet Eilperin, “The White House’s ‘All of the Above’ Energy Strategy Goes Global,” Washington Post, April 24, 2013, http://washingtonpost.com; David Biello, “All-of-the-Above Energy Strategy Trumps Climate Action,” Scientific American, November 16, 2012, http://blogs.scientificamerican.com. 35. ↩ Barack Obama, “Remarks by the President on Climate Change,” WhiteHouse.gov, June 25, 2013, http://whitehouse.gov; Executive Office of the President, The President’s Climate Action Plan, 7, 19. 36. ↩ Executive Office of the President, The President’s Climate Action Plan, 8. 37. ↩ Curtis White, The Barbaric Heart: Faith, Money, and the Crisis of Nature (Sausalito, CA: PolipointPress, 2009). 38. ↩ George Lakey, “I Pledge Allegiance, To Resist the Pipeline,” Waging Nonviolence, March 12, 2013, http://wagingnonviolence.org. In his June 2013 remarks introducing his “climate action plan” Obama ambiguously stated that the Keystone XL Pipeline project would be disapproved if it was shown to “significantly exacerbate the problem of carbon pollution.” The inclusion of the word “significantly” naturally allows the administration the maximum latitude to come down on the side of the fossil fuels industry if it so chooses. 39. ↩ See, for example, Jeremy Leggett, The Solar Century (London: GreenProfile, 2009). This technocratic approach is a product of Leggett’s whole history, first as a geologist consulting for the oil industry, then as a Greenpeace leader, then as CEO for Britain’s first solar power corporation, and finally as the founder of Carbon Tracker. 40. ↩ Bill McKibben, “Global Warming’s Terrifying New Math,” Rolling Stone, July 19, 2012, http://rollingstone.com. 41. ↩ Zencey, “Energy as a Master Resource,” 80-82. 42. ↩ “An Interview with Kevin Anderson,” Transition Culture, November 2, 2012, http://transitionculture.org; Nicholas Stern, The Economics of Climate Change: The Stern Review (Cambridge: Cambridge University Press, 2007), 232. A similar criticism (to that of Anderson) of the Stern Review’s contention that carbon emission reductions of more than 1 percent per annum were detrimental to the capitalist economy and thus had to be off limits was made in John Bellamy Foster, Brett Clark, and Richard York, The Ecological Rift (New York: Monthly Review Press, 2010), 154-56. 43. ↩ Kevin Anderson interview; Kevin Anderson and Alice Bows, “Beyond ‘Dangerous Climate Change’: Emission Scenarios for a New World,” Philosophical Transactions of the Royal Society 369 (2011): 40-41. We might add that what would make a vast reduction in consumption possible while at the same time improving the conditions of most of the population is the massive amount of waste built into monopoly capitalist society, associated with the prodigious expansion of superfluous goods, and vast marketing expenses. Such socially unnecessary expenditures, as Thorstein Veblen explained at the outset of the twentieth century, are built into the production of commodities themselves. See John Bellamy Foster and Brett Clark, “The Planetary Emergency,” Monthly Review 64, no. 7 (December 2012): 7-16; Thorstein Veblen, Absentee Ownership and Business Enterprise in Recent Times (New York: Augustus M. Kelley, 1964), 284-325. 44. ↩ The Royal Society, People and the Planet (London: Royal Society, April 2012), 9. 45. ↩ Johan Rockström, et. al., “A Safe Operating Space for Humanity,” Nature 461 (2009): 472-75, http://pubs.giss.nasa.gov; Carl Folke, “Respecting Planetary Boundaries and Reconnecting to the Biosphere,” in Worldwatch Institute, State of the World 2013, 19-27. 46. ↩ Karl Marx and Frederick Engels, The Communist Manifesto (New York: Monthly Review Press, 1964), 2. See István Mészáros, “Substantive Equality: The Absolute Condition of Sustainability,” in Mészáros, The Challenge and Burden of Historical Time (New York: Monthly Review Press, 2008), 258-64. 47. ↩ Karl Marx, Capital, vol. 1 (London: Penguin, 1976): 637-38. 48. ↩ Frederick Engels, The Condition of the Working Class in England (Chicago: Academy Chicago Publishers, 1984). 49. ↩ The notion of an environmental proletariat is advanced in Foster, Clark, and York, The Ecological Rift, 440. See also Fred Magdoff and John Bellamy Foster, What Every Environmentalist Needs to Know About Capitalism (New York: Monthly Review Press, 2011), 143-44. An example of the growth of a broad alliance of working people is the Idle No More movement in Canada, in which popular environmental groups, the National Farmers Union, and, increasingly, unionists are allying themselves with a movement led by First Nations, and organized around their treaty rights-in opposition the Canadian government’s rapacious extractivist policies. Much of the struggle has centered on resistance to tar-sands oil extraction/production, focusing on native land and water rights. See Gene McGuckin, “Why Unionists Must Build the Climate Change Fight,” Climate & Capitalism, May 2, 2013, http://climateandcapitalism.com; “Farmers Union: Why We Support Idle No More,” Climate & Capitalism, April 3, 2013, http://climateandcapitalism.com. 51. ↩ Mészáros, The Challenge and Burden of Historical Time.